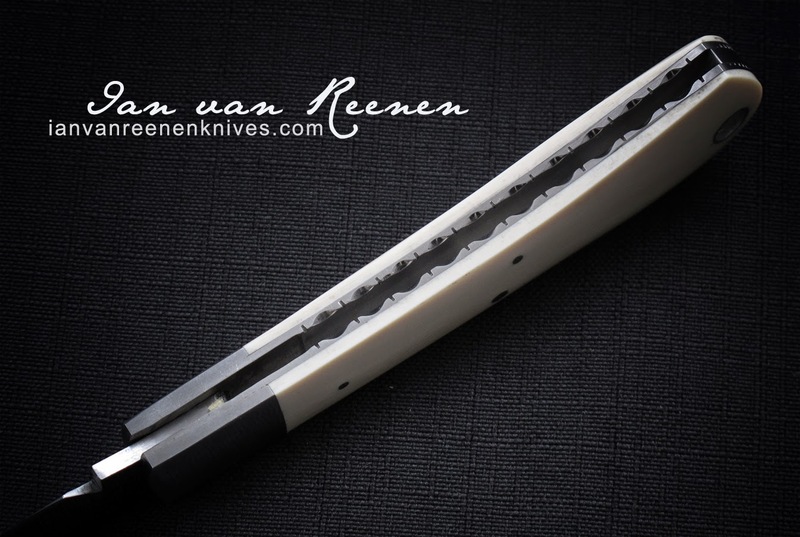 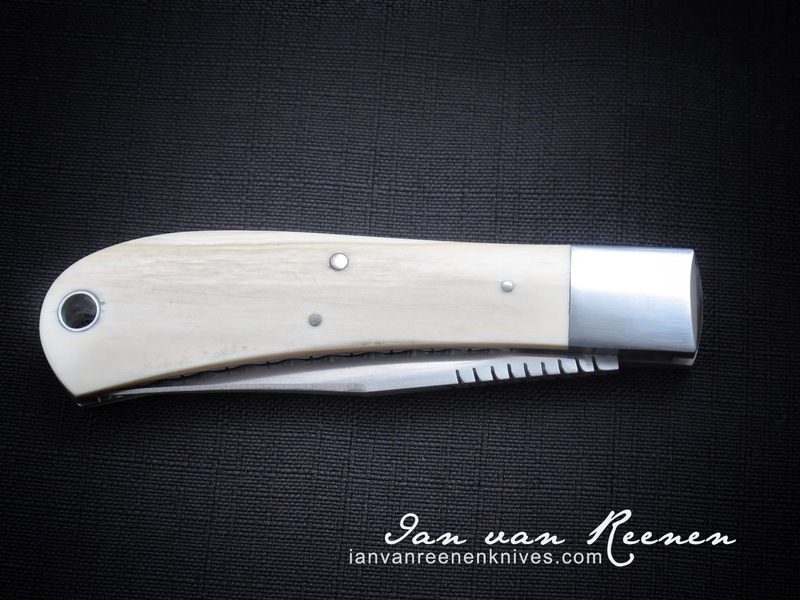 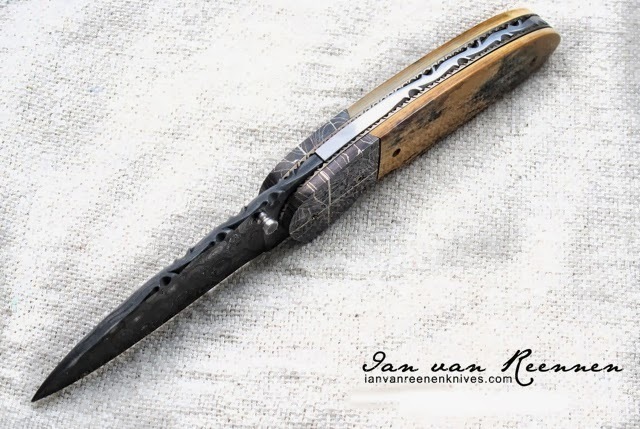 In it's simplest and most primitive form a knife is just a sharp piece of metal and handle that helps you hold it - but like most things man has invented, artists and craftsmen have taken the basic deign and elevated it to be a piece of art. 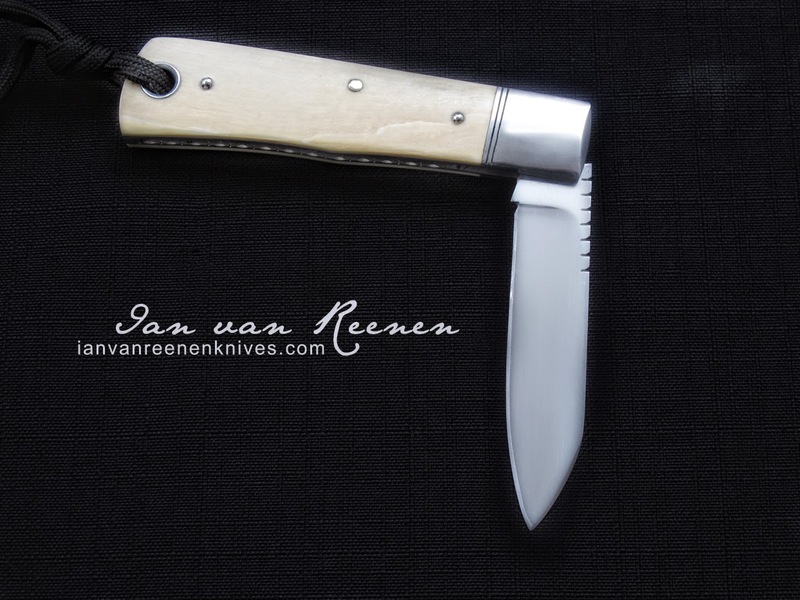 With all my knives, that has been my goal. 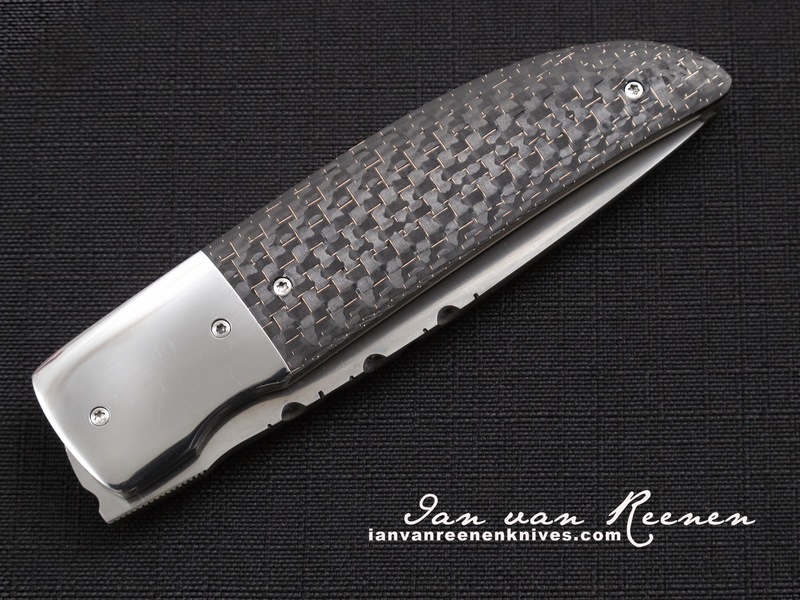 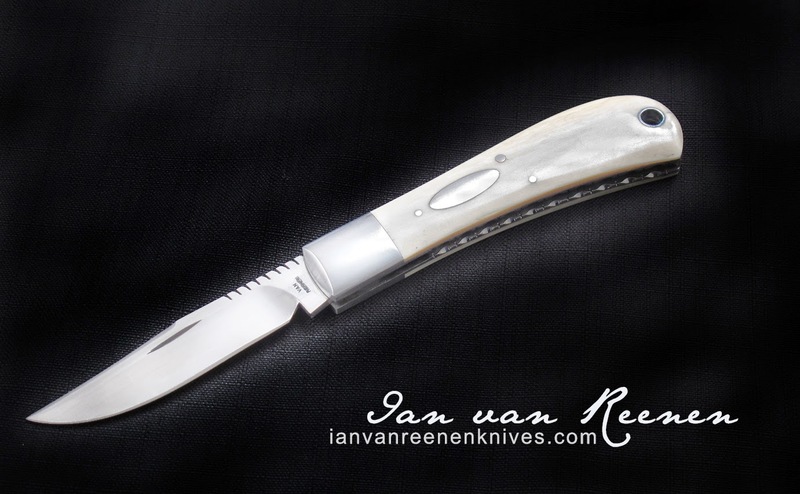 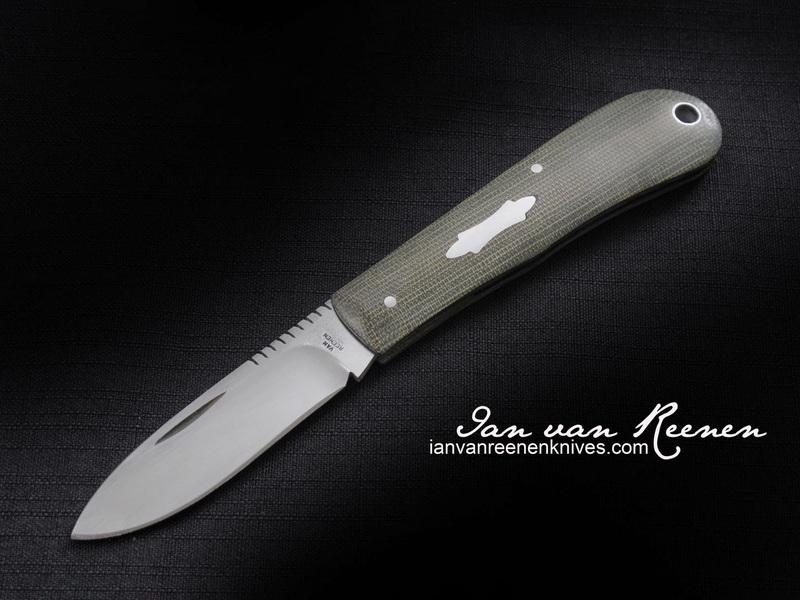 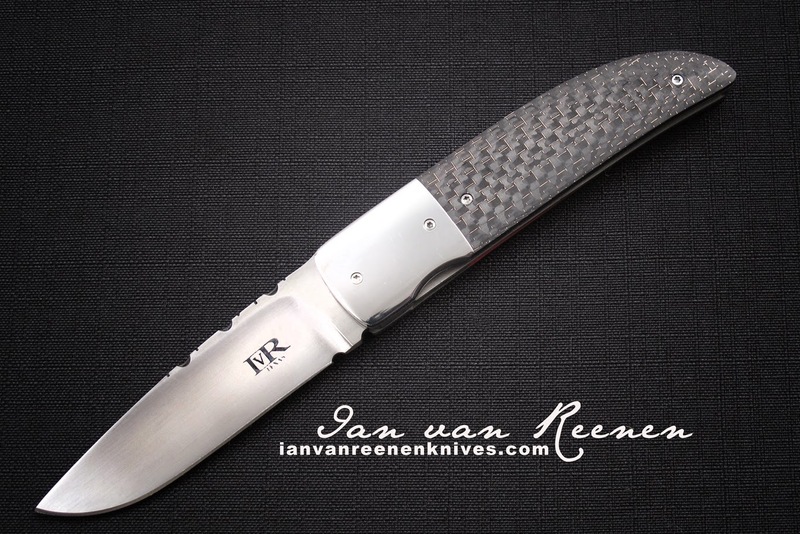 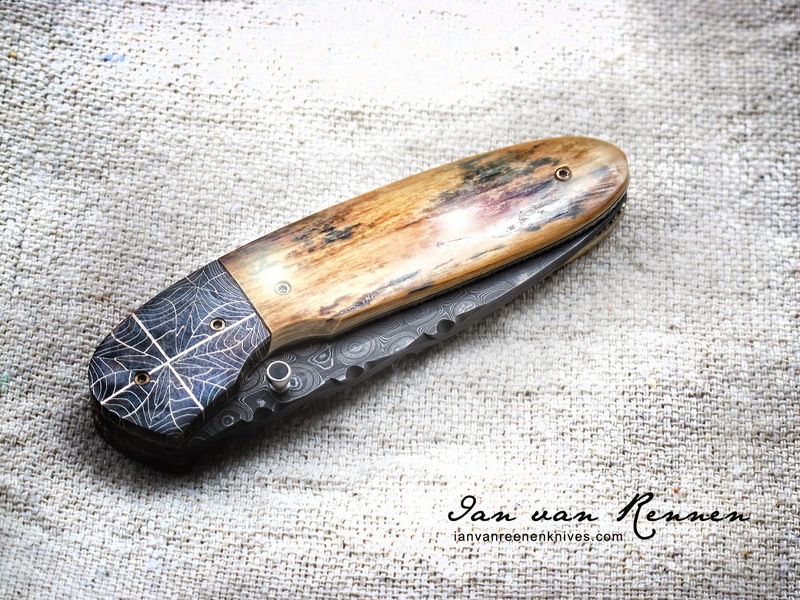 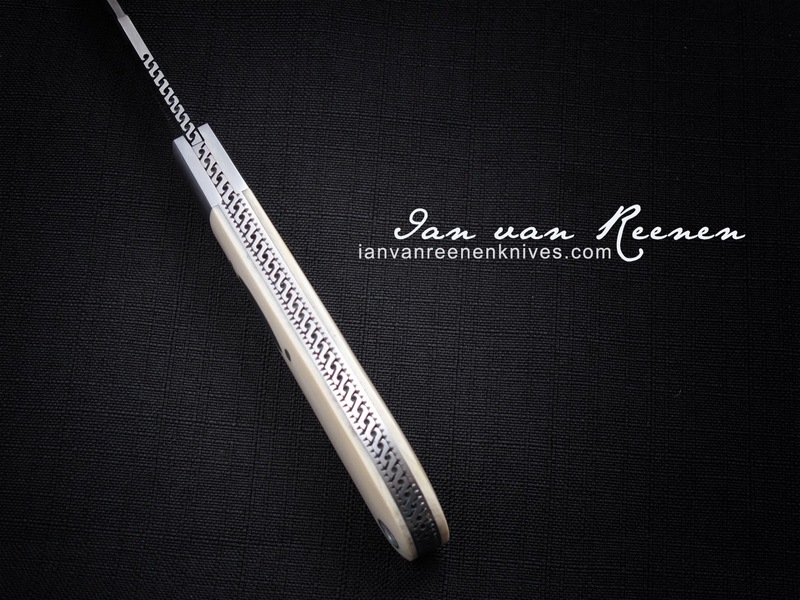 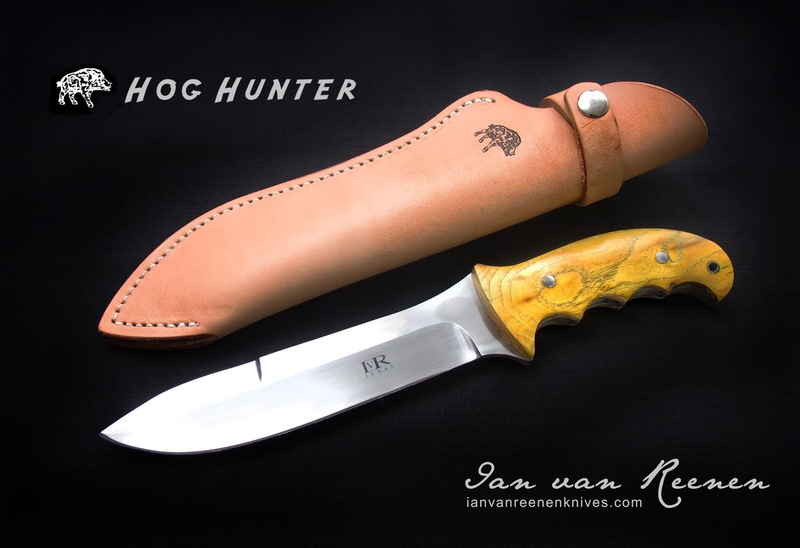 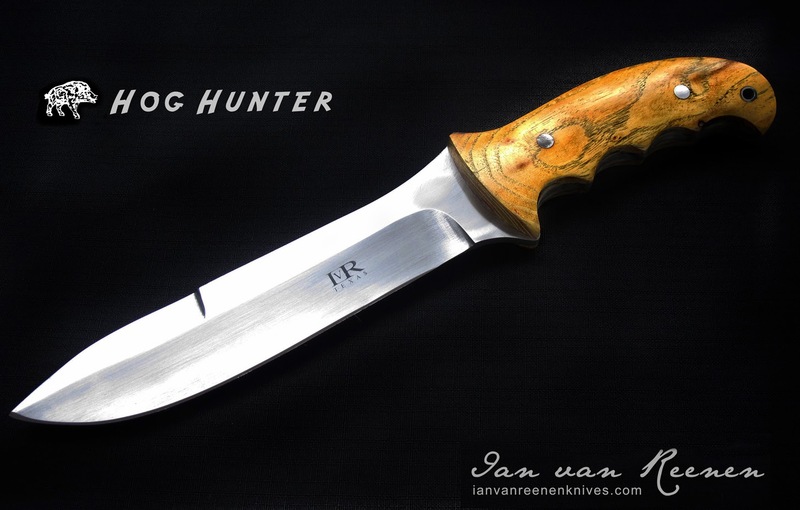 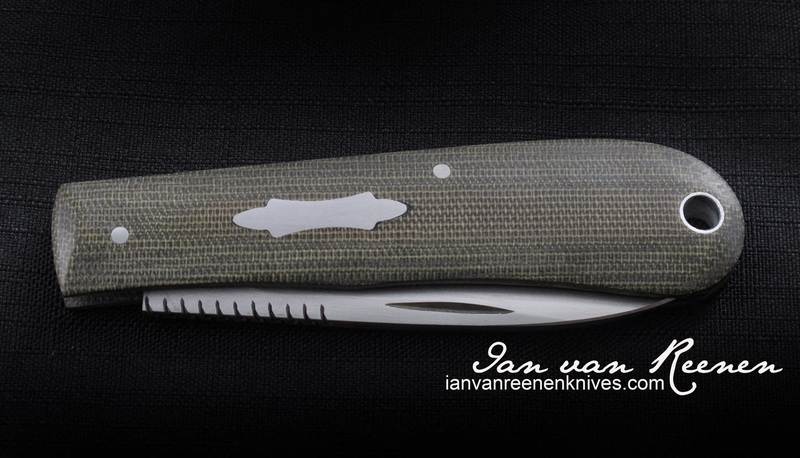 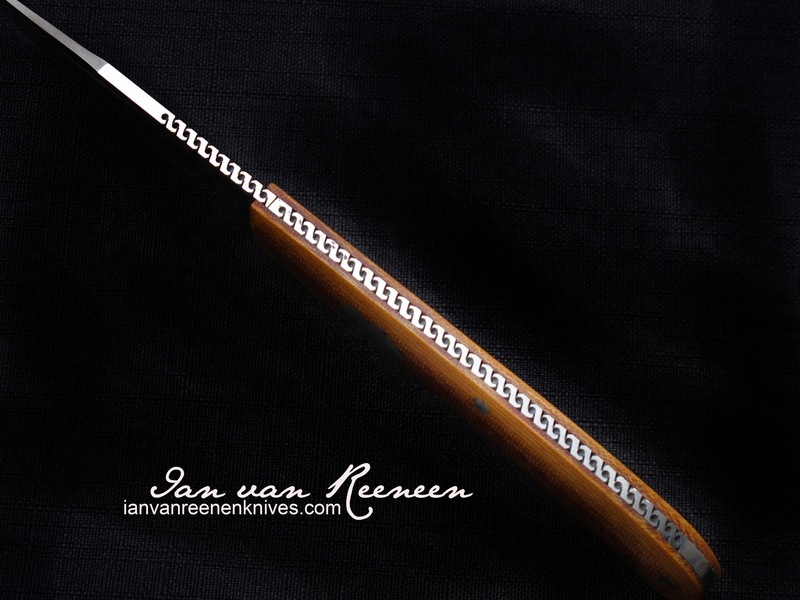 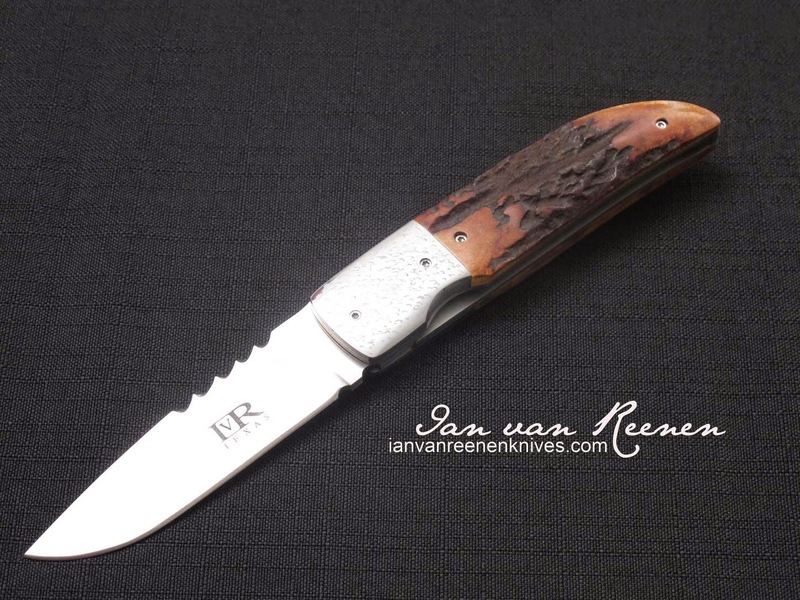 Here's an engraved Drop Point Hunter. 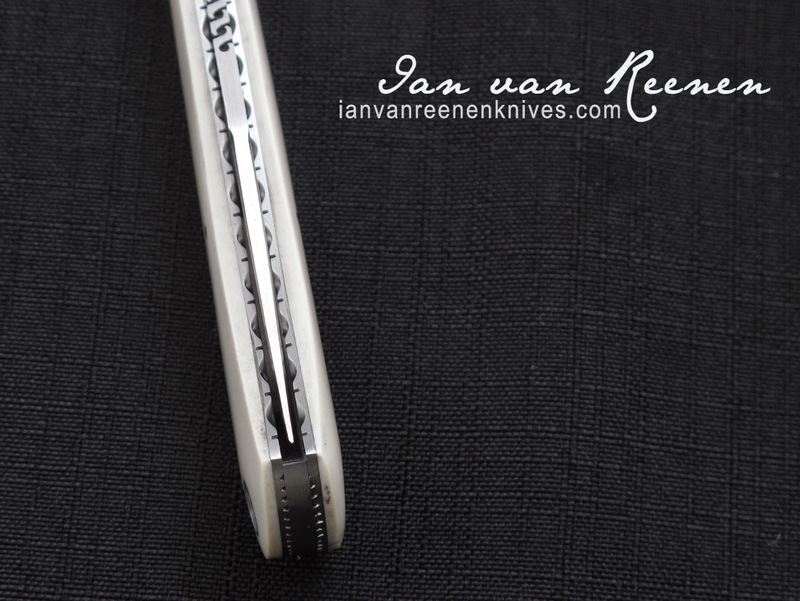 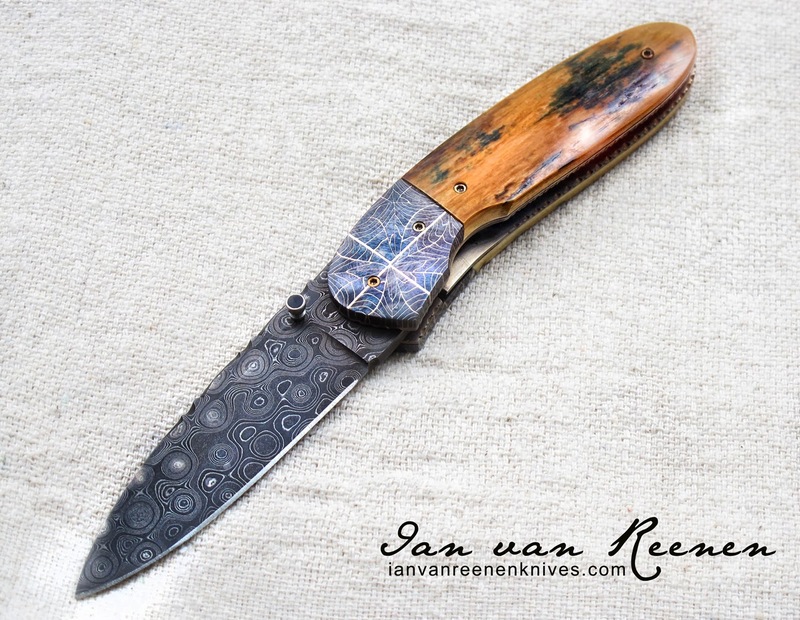 This is a Damascus liner locker pocket knife with rain drop pattern, featuring Damascus blade and bolsters, mammoth ivory scales, titanium anodized gold liners with Thorny -Vine file work on blade and spine. 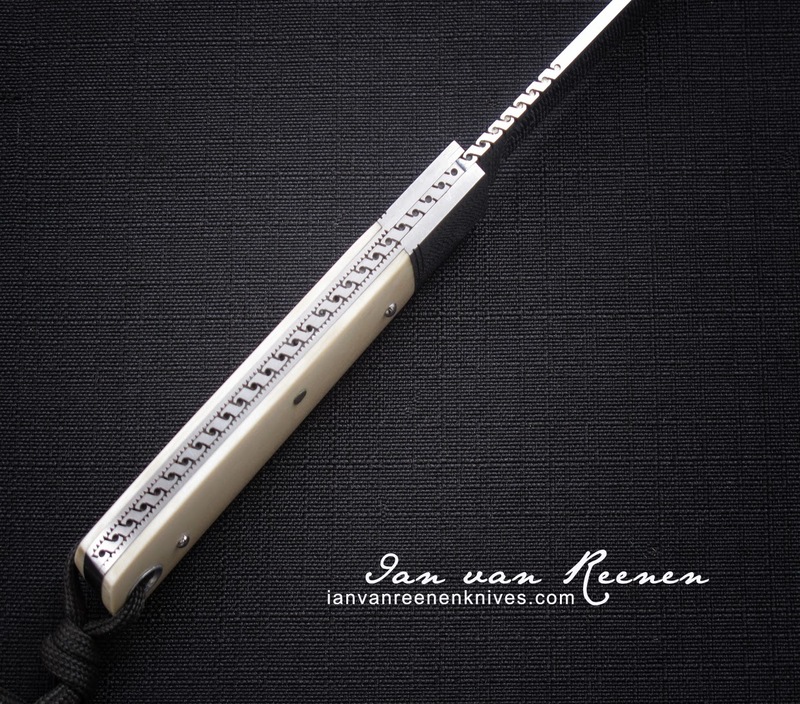 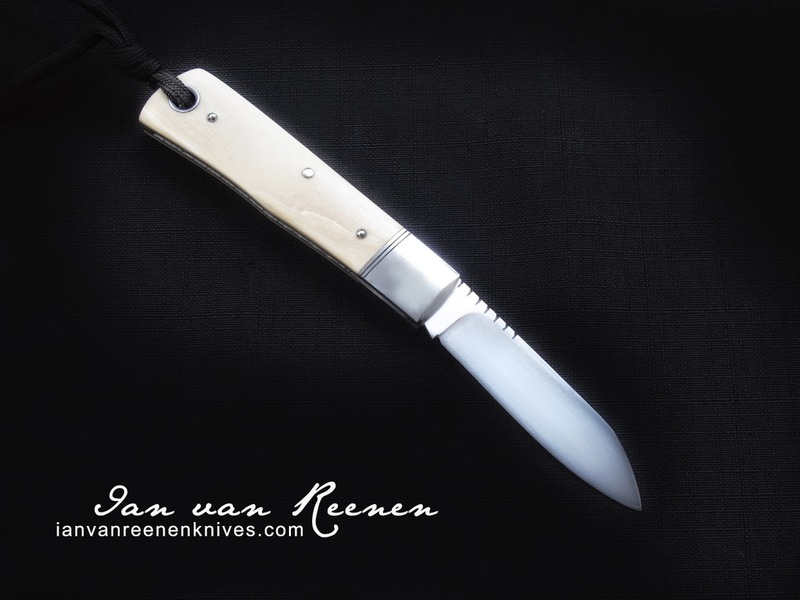 The Stainless steel thumb stud is inlaid Buffalo horn. 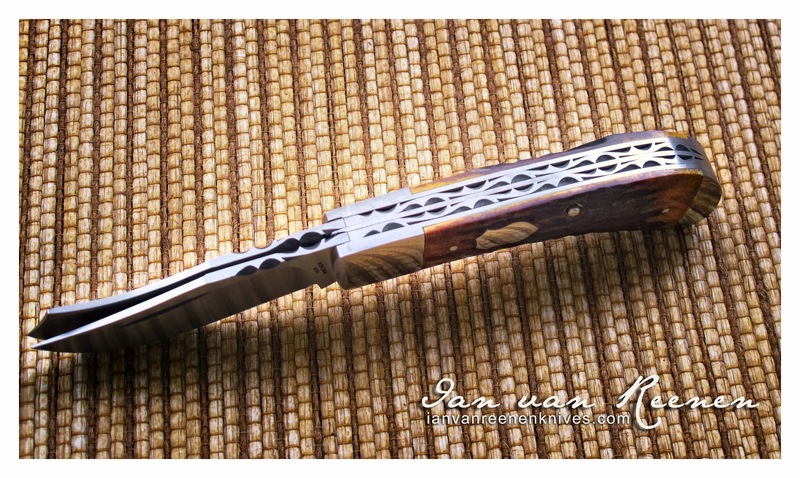 Originally Damascus steel was made from wootzsteel, a steel developed in India around 300 BC. 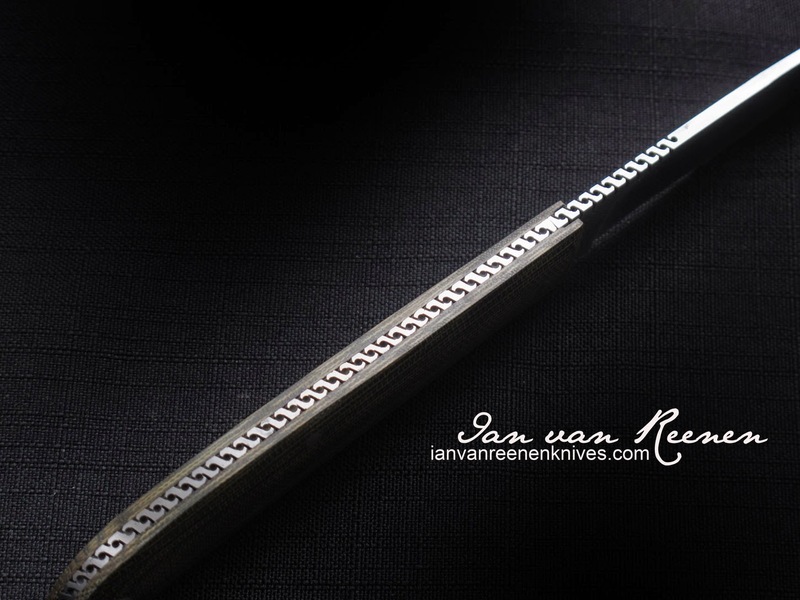 These swords are characterized by distinctive patterns of banding and mottling reminiscent of flowing water. 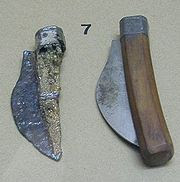 Such blades were reputed to be tough, resistant to shattering and capable of being honed to a sharp, resilient edge. 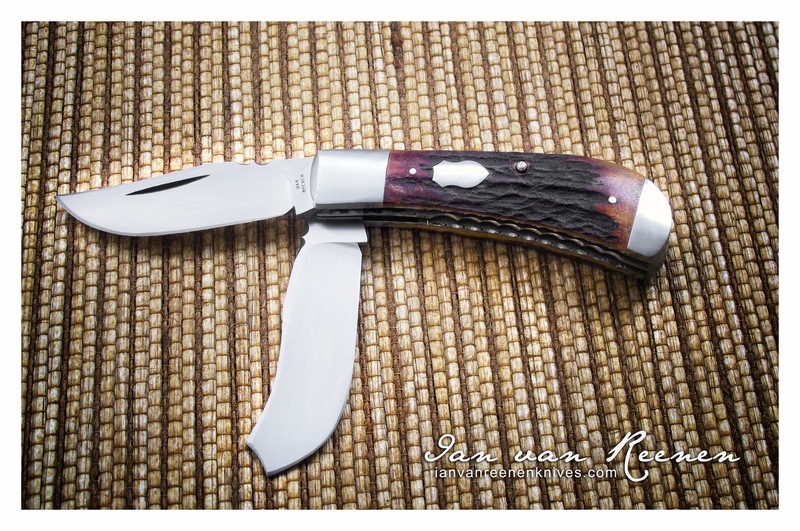 Cocobolo Hunters - nothing like sharp steel and nice wood grain. 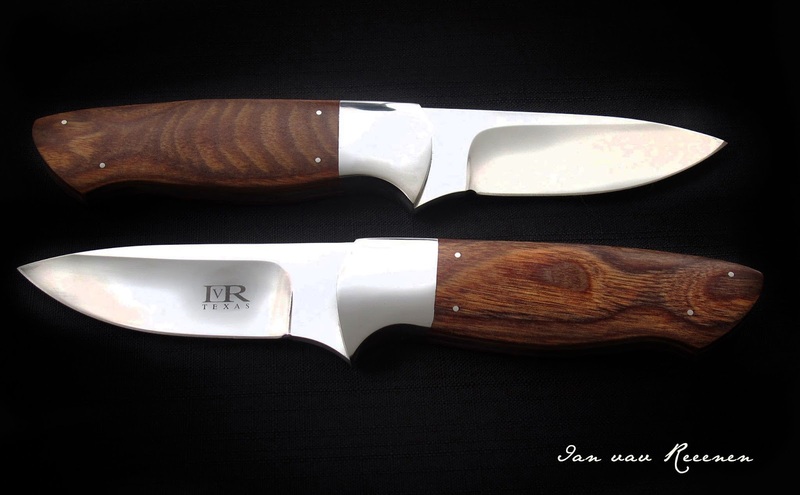 Here are two Cocobolo Hunters you might like. 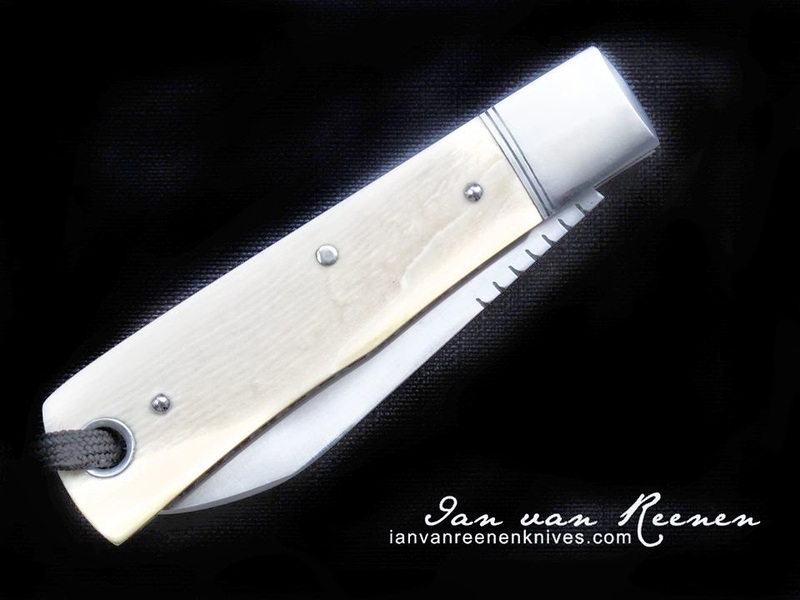 They were part of an order of four. 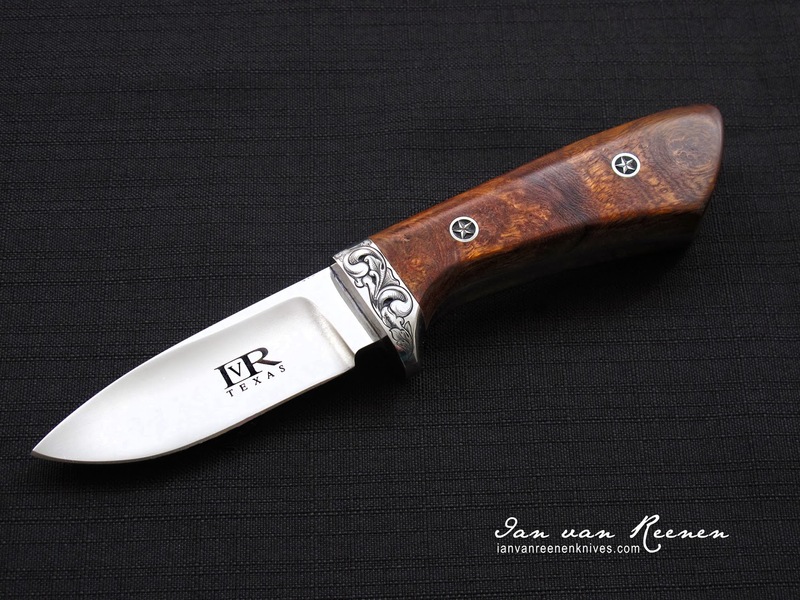 Cocobolo is a tropical hardwood of the tree Dalbergia retusa from Central America. 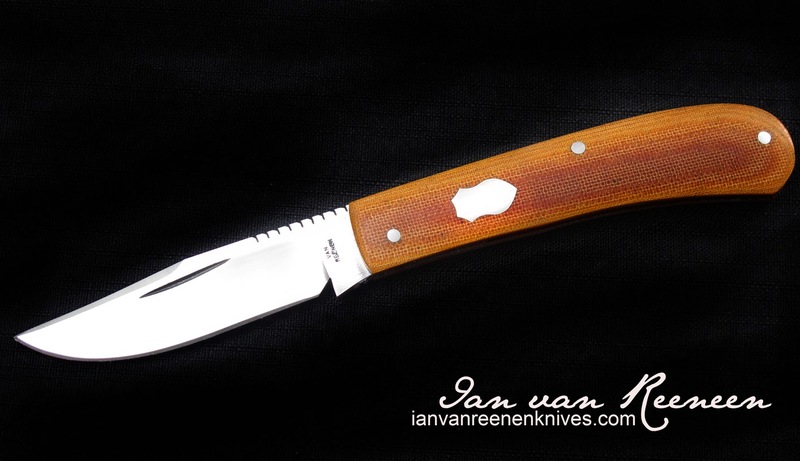 Only the heartwood is used: this is typically orange or reddish-brown in color, often with a figuring of darker irregular traces weaving through the wood. 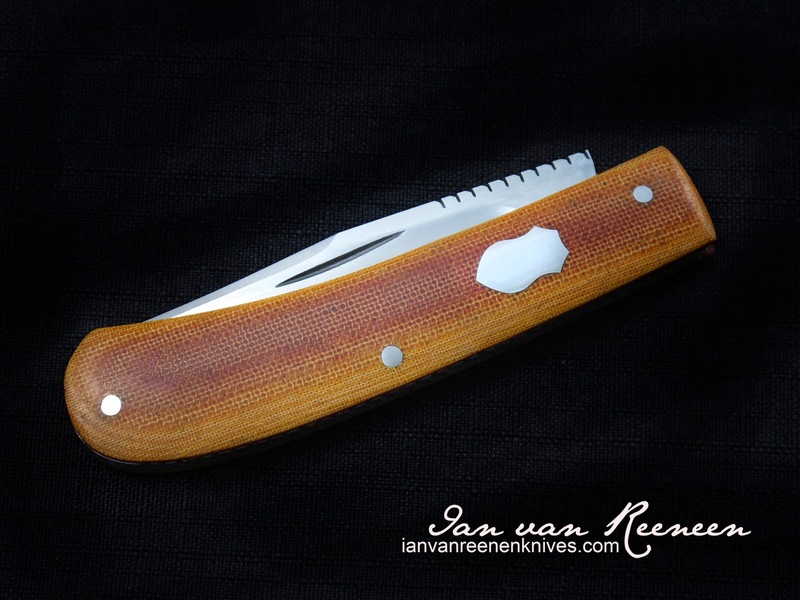 The sapwood (not often used) is a creamy yellow, with a sharp boundary with the heartwood. 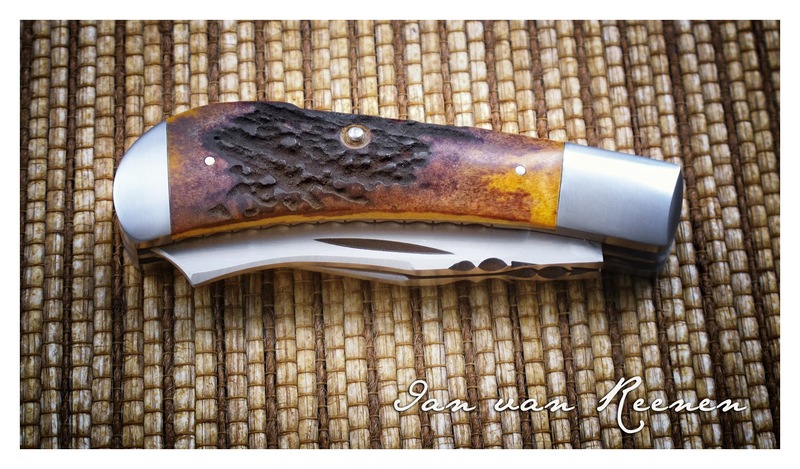 The heartwood is known to change color after being cut, lending to its great appeal.